The Tata Nexon, Maruti Suzuki S-Cross Facelift, Range Rover Velar and many more cars are lined up for launch in September 2017. The festive season is here and so will be the buying sentiment that auto manufacturers are looking forward. With the first half of the calendar year being a bouncy one, the festive season is where companies are looking for the peak in sales. 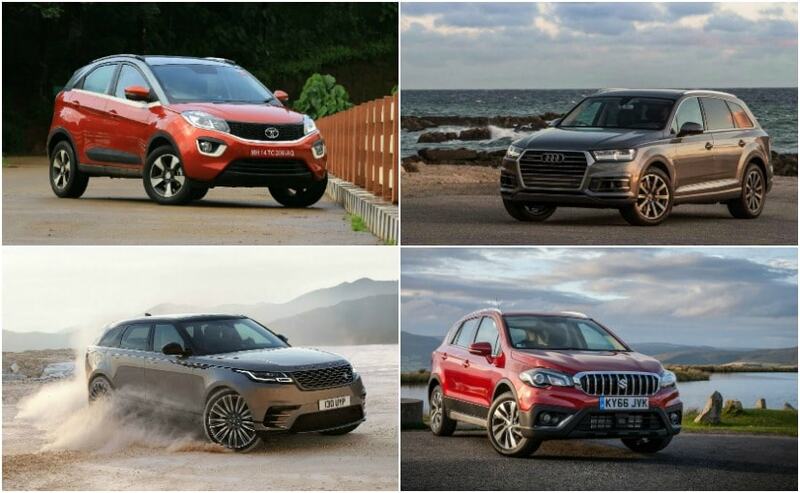 That's why a host of new car launches, facelifts and special edition models are planned around this time of the year and this September looks promising with a power packed line-up of models across various segments. So, if you are planning to get your hands on a new car this festive season, we have compiled a list of all the upcoming car launches in September 2017. Audi India will be introducing the petrol powered derivative of the Q7 luxury SUV in India on September 4. 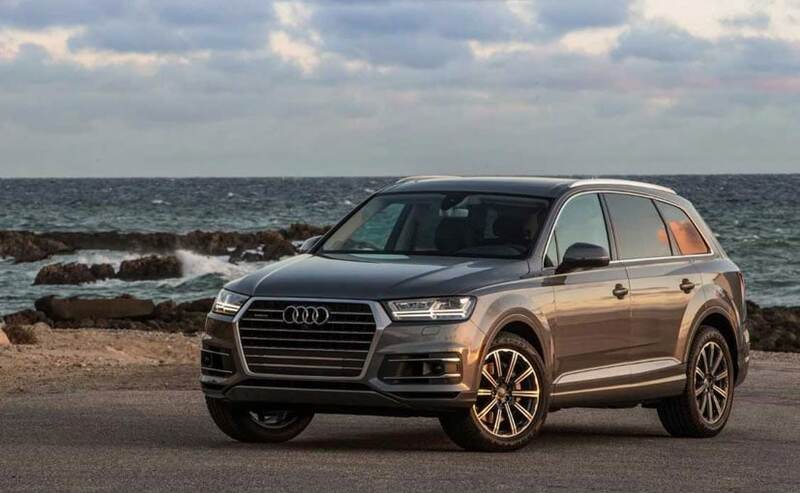 The new Audi Q7 Petrol edition will be badged as the 40 TFSI and will be joining the 3-litre diesel version that has been on sale since the model originally went on sale in late 2015. Power on the Q7 Petrol comes from the 2-litre, four-cylinder engine that is tuned to produce 252 bhp and and 370 Nm of peak torque, while mated to an 8-speed automatic transmission. The petrol SUV will come with all the bells and whistles that are seen on the diesel version including the Matrix-LED headlamps, 20-inch alloy wheels, Audi smartphone interface and much more. The Audi Q7 Petrol is likely to be priced around ₹ 75 lakh (ex-showroom) and will take on the Mercedes-Benz GLS, Land Rover Discovery and the likes in the segment. An extremely important launch for Tata Motors, the all-new Nexon looks promising and we found it to be quite likeable too when we drove it earlier this year. Tata's first ever subcompact SUV will be taking on a host of offerings including the segment leading Maruti Suzuki Vitara Brezza and packs in the right arsenal as well. The Tata Nexon will be using a 1.2-litre turbocharged petrol engine and the newly developed 1.5-litre diesel engine under the hood. Both units churn out 108 bhp of power, while the cabin features all the essentials including Android Auto and Apple CarPlay. While the launch date is yet to be announced, the Tata Nexon will go on sale next month and will carry an extremely aggressive price tag starting around Rs 6.5 lakh (ex-showroom). Bookings for the Nexon have already commenced. The Range Rover Velar will be the fourth SUV from the Range Rover family to make it way in India and is scheduled for a price announcement on September 21. The all-new SUV was globally unveiled in March this year and promises to offer new levels of luxury, refinement and Land Rover's famed all-terrrain capability. The luxury SUV also gives a glimpse into the future of Land Rover SUVs with Velar serving as an inspiration for a lot of different models in the future. Power will come from the 2-litre Ingenium and 3-litre supercharged V6 on the petrol versions, while diesel power will come from the 2-litre Ingenium and a 3-litre V6 engine. All engines come paired to an 8-speed ZF sourced automatic transmission. The new Range Rover Velar will be competing against a host of offerings including the Mercedes-Benz GLS, BMW X5, Audi Q7 as well as the Jaguar F-Pace and Volvo XC90. While prices will be announced in September, sales of the SUV will only commence in November in India. The Maruti Suzuki S-Cross has been around for a while in India and the Indian auto giant just might introduce the facelifted version of its compact SUV next month. 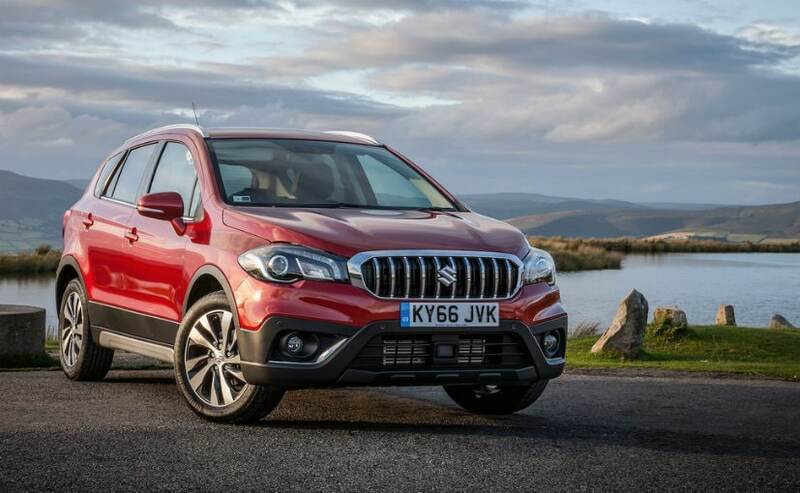 While the launch date is yet to be announced, the updated S-Cross facelift will be seeing a host of upgrades, mostly taking cues from the global facelift that happened last year. Expect to see revised styling including a new grille, new LED DRLs, a beefier bumper and sportier alloys on the model. The cabin is also likely to be updated with a newer appearance including an updated touchscreen infotainment system that supports Apple CarPlay and Android Auto. Engine options will continue to remain the 1.3-litre and 1.6-litre diesel, even though certain reports do suggest that a 1.5-litre diesel could make it under the hood. An automatic variant is also said to be in the works on the 2017 Maruti Suzuki S-Cross facelift. Another model that is yet to be confirmed, rumour mills are abuzz that Tata Motors will introduce the Tiago Wizz Edition this September. The Tata Tiago is presently the automaker's bestselling model and the new Wizz edition should help keep it relevant amidst the festive season. the hatchback will get cosmetic updates including contrast roof and spoiler, dual tone wheel cover, dual-tone finished interior, new seat fabric pattern and blacked out B-pillars. The 1.2-litre three-cylinder petrol and 1.05-litre three-cylinder diesel engines will continue sans any changes on the special edition model. It needs to be seen though if the Wizz edition will be available on the recently launched Tiago AMT as well. The Tata Tiago Wizz Edition is expected to be at a premium of around ₹ 20,000-25,000 and is likely to be offered on the mid and top trims.